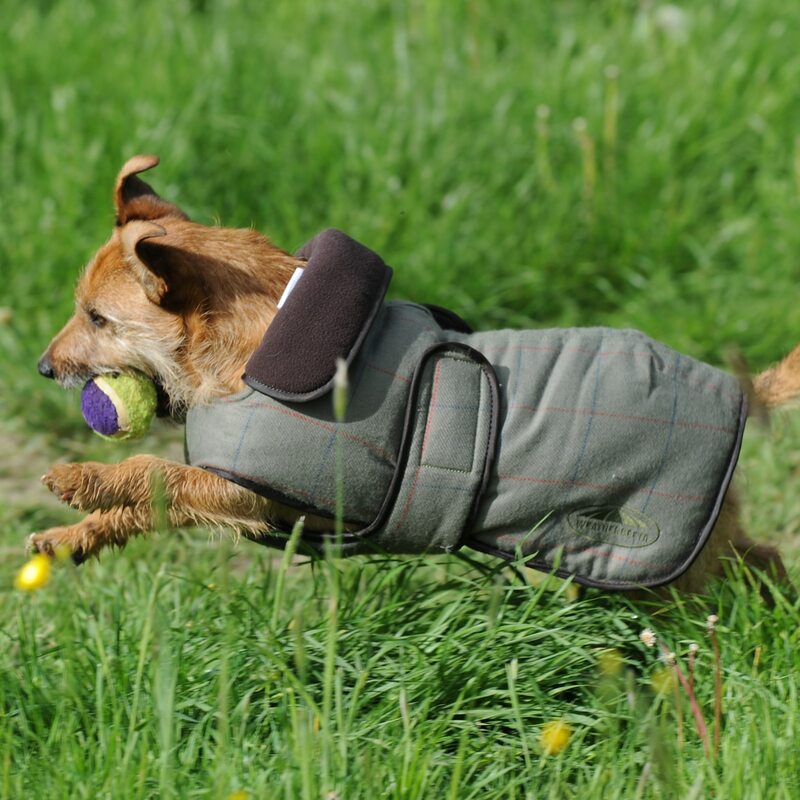 The Weatherbeeta Tweed Dog Coat features a stylish tweed outer with warm fleece lining. Full wrap chest and belly closure for full protection. 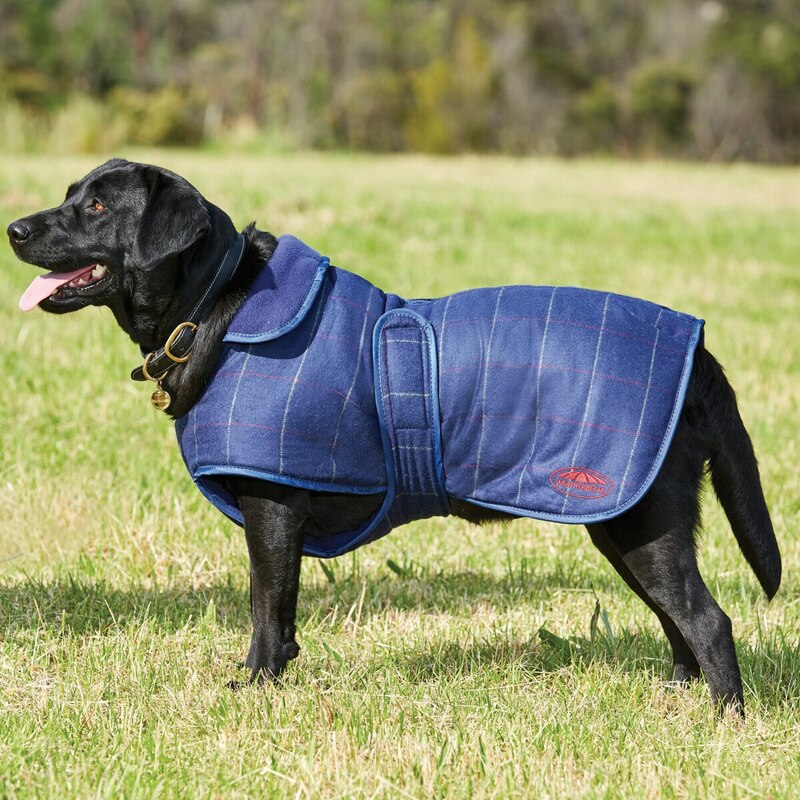 Large neck collar and leash hole for added warmth, comfort and protection. Large neck collar - Added warmth! 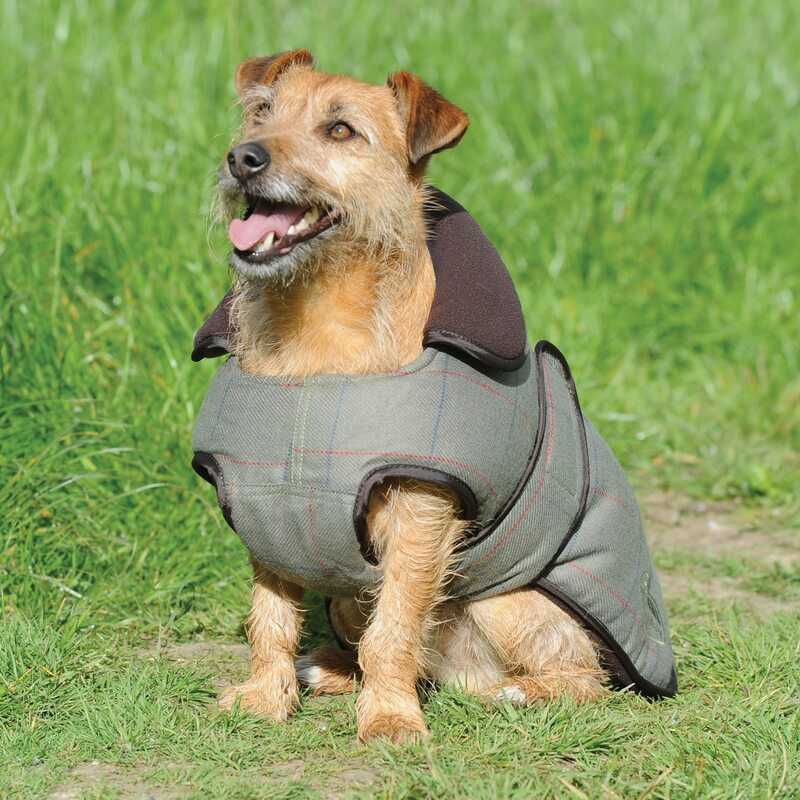 Weatherbeeta Tweed Dog Coat is rated 5.0 out of 5 by 6. Rated 5 out of 5 by NobleAttempt from Very cute and very warm I bought is jacket earlier this month for my dog. It runs a little large, he measured 23 inches so I ordered the 24 and he was swimming in it. Smartpak was very quick to send me a size down, and my mom was quick to comment that her new dog is longer than mine and does not have any winter wear. Long story short, we kept both jackets and now our dogs get lots of comments on how cute they are when they are out together. I have already had lots of people ask where I got the jackets from. The olive color is very cute and masculine on my dog, and the fit is great. I love the way the jacket goes on, and my dog seems to too, since he doesn't fight it. Rated 5 out of 5 by Diane from thick and soft Nice for dry days! Super soft and well made. Not for wet days. Our dog sleeps in garage so will be nice to remove water proof coat and sleep in this. Rated 5 out of 5 by Victoria from Super warm coat I have an 85lb+ dog, and this coat fits him well, provides great coverage and is super warm. It's also easy to put on him and take off of him. He seems to really like it! Rated 5 out of 5 by SavannahL from Toasty warm! This literally just arrived and I put it on our blue heeler mix right away (its snowing in Nashville!). She wasn't so sure about it but she seemed comfortable enough in it to wear it outside and romp around in the snow. The 20" was perfect for her, maybe a touch too big but not bad. The olive color is really pretty and the quality is great, I was surprised by how thick and padded it was. I would totally order one for my long haired GSD but she is plenty warm already! Rated 5 out of 5 by HarveysMom from Perfect for New England Weather This dog coat is well made and provides a lot of warmth for my dog during our cold New England winters. It is thick and provides coverage for the neck, and the side straps allow you to customize the fit (which is good if you have a bulky harness). It is not water repellent, but it's so thick that we've yet to have water actually penetrate through the interior of the coat. Highly recommended. Rated 5 out of 5 by Odiebay from Soft great quality, fits my hard to fit Scottie I was looking for a coat for my hard to fit Scottish Terrier, it’s perfect. 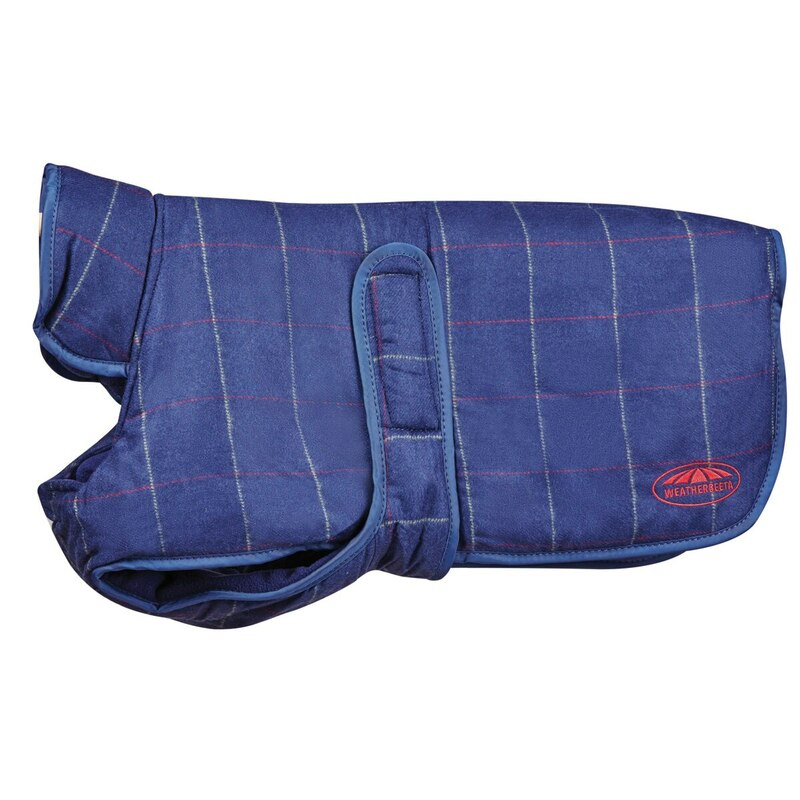 I love Weatherbeeta blankets for my horse I knew these would be great quality.